We stayed at a campsite outside Riga yesterday next to a small lake. The lake was great for a quick swim before dinner as it was a really sticky evening. Later another massive thunderstorm! It really seems to be the pattern, clear days then thunderstorms at night. In the morning we decided to let the sat nav guide us to the Riga campground. It took us on a shortcut around the airport which was just muddy tracks and eventually popped us out onto a major road into the city. 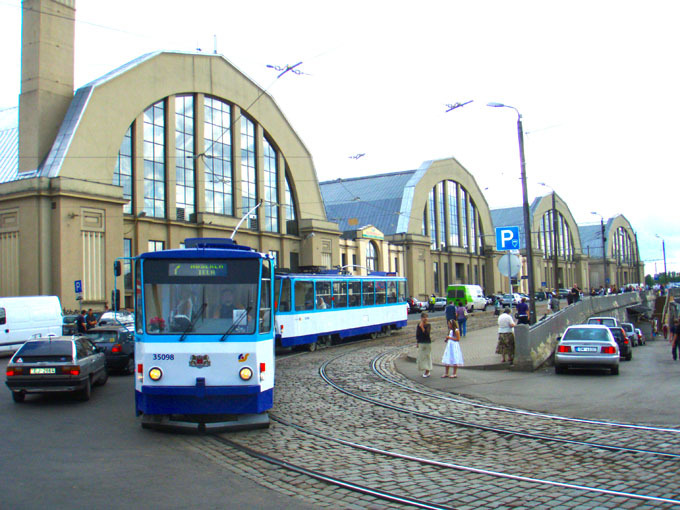 The city camping at Riga is just behind the exhibition centre and is very good. You can easily walk the 2.5km into the old town. 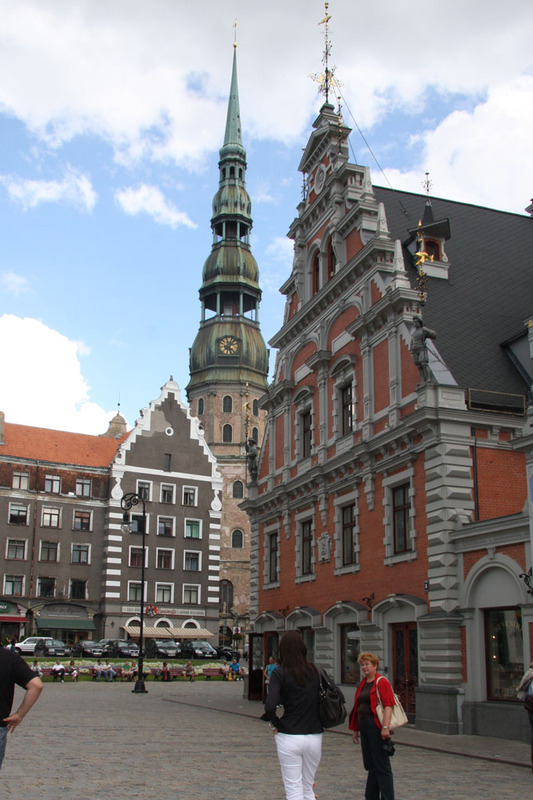 The old town in Riga is very pretty and the streets outside the old part of town are all smart, clean and tidy. It is all very well maintained, roads are good and there is very little litter on the streets. In general there is less litter in Latvia and Lithuania than at home. 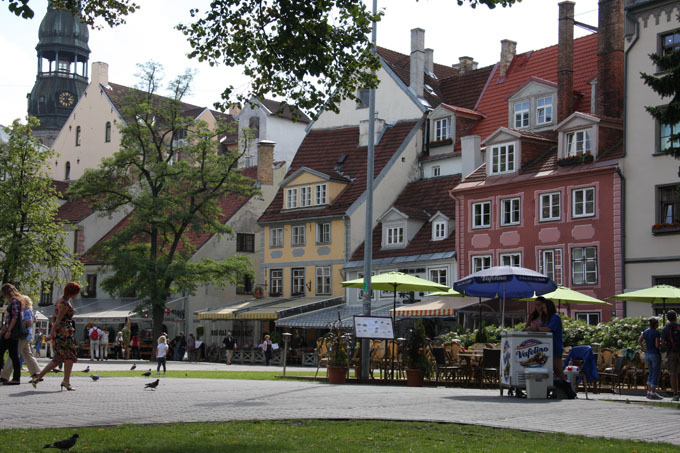 The buildings in the old town squares have been renovated to a high standard and are beautiful. 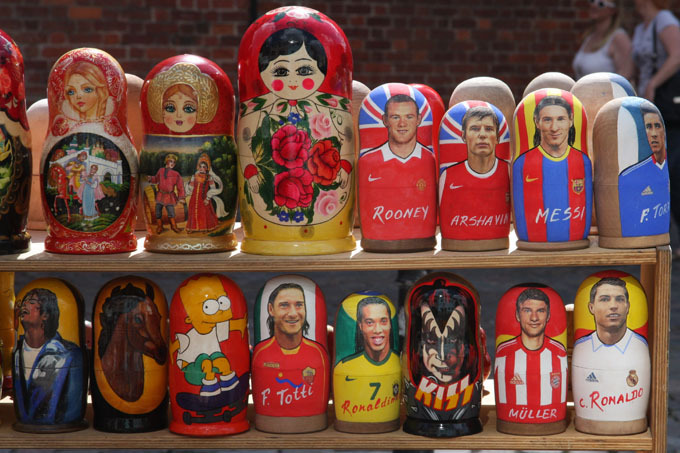 Walking around the town you see the normal stalls selling souvenirs, but sometimes the quirky ones catch you eye. This is an old traditional souvenir with a new slant! Running along the edge of the old town is a canal which is surrounded by grassy areas where people just relax, sit and chat and eat lunch. 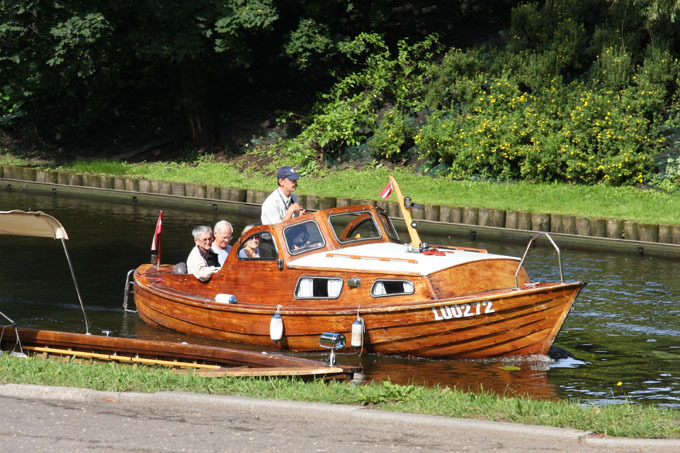 You can also go on short boat trips in boats that look like they have been here for a while. If you follow the canal it takes you to Central Market which is housed in four old Zeppelin hangers. Each hanger has a different type of product. Certainly worth wandering around for a while. Having spent the last seven hours walking to Riga from the campsite, we decided to call it a day and walk back. On the way we saw a display of drawings by an artist called Bisofs. 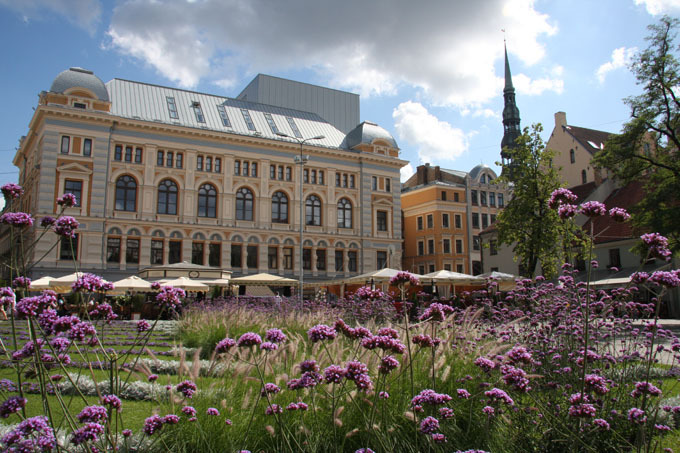 They were intended to give an insight into Latvians and the country. 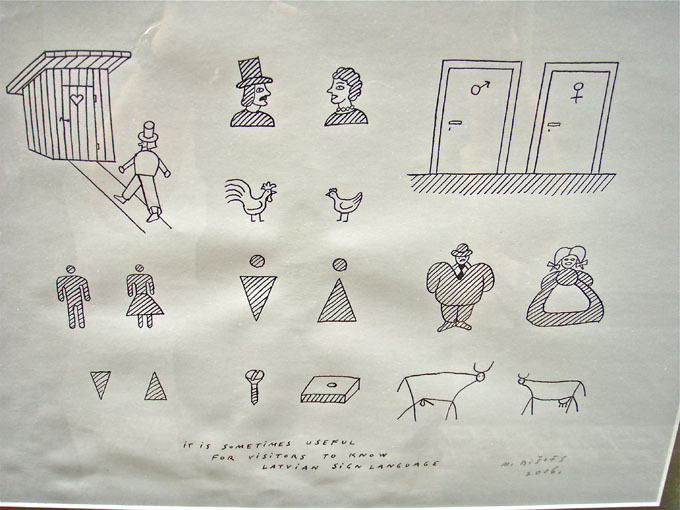 One was a useful reference to the different signs or symbols used to show male and female toilets. Once Marjool had to ask which one was the ladies as she was confused by the sign …. Moving on from Riga tomorrow, but I am sure that we will come back. It is a great place for a city break!